According to Harvard Business review, about 85% of change initiatives inside large companies fail. Why? Because, like we’re fond of telling our culture change clients, “Nothing changes until somebody feels something”. 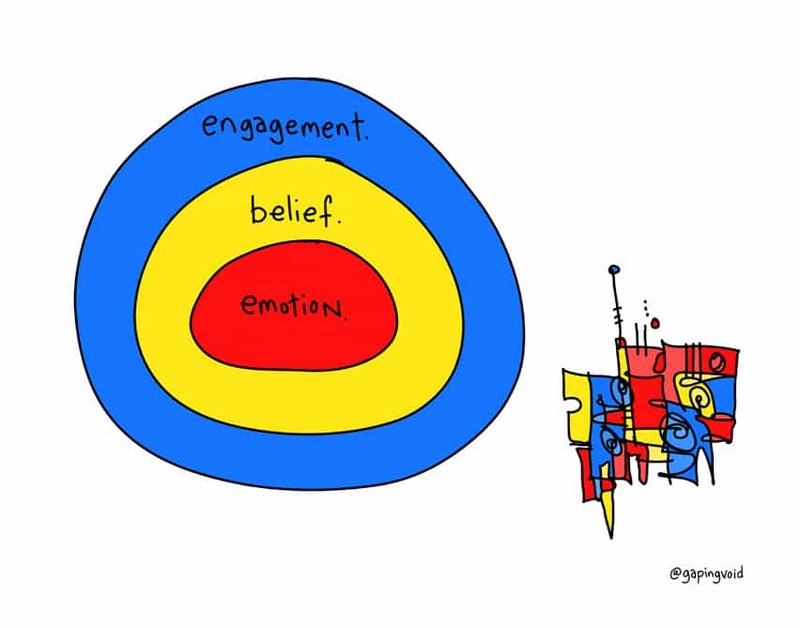 Like this cartoon implies, engagement doesn’t increase until people trust you more. And the decision to trust you more isn’t intellectual, it’s emotional. A sudden, emotional switch goes off in their head, and suddenly they trust you more. Or they trust you less. It happens in an instant. It happens at the chemical level. But that’s not what happens in most cases. 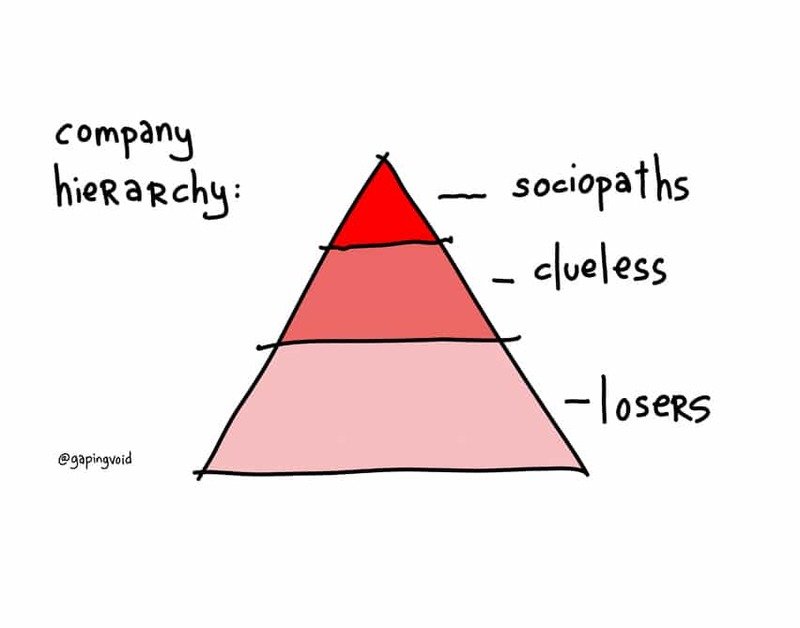 In most cases, the CEO calls an all-hands meeting, makes a big speech with big words, and everybody goes back to their desks, feeling not that much different. And then failure is just a matter of time. Real change doesn’t happen unless real emotional change happens first. It’s something that can’t be faked. So next time, before you start trying to change the company, ask yourself first, what emotion am I trying to change? And ask yourself, is what I’m doing realistically going to achieve that?